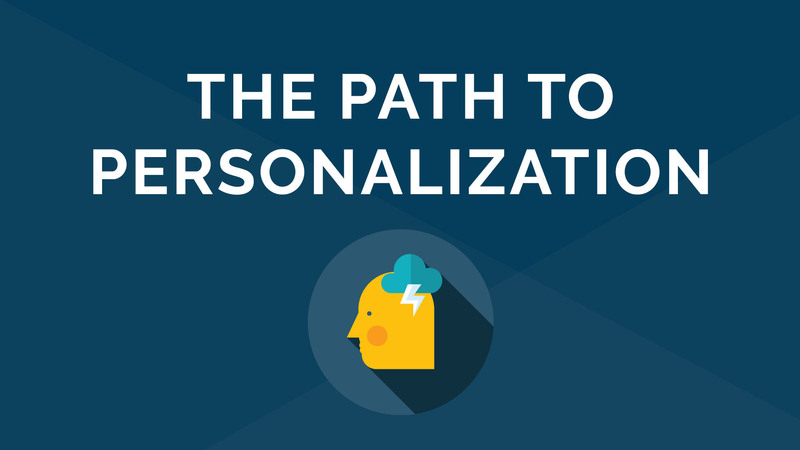 With consumers getting constantly bombarded with information, it’s now more important than ever before to incorporate personalization into your marketing strategy. Today’s consumers come to expect brands to know them well, offer resources and solutions that fit their needs, and provide them with excellent customer service both before and after the decision-making process. According to recent research, 80% of individuals are more likely to do business with a company that focuses on personalizing the customer journey. Therefore, investing resources and efforts into creating a more personalized experience for your customers can have a huge impact in your ability to attract and engage with them. And companies seem to be realizing that, with 66% of businesses claiming that their ability to personalize the customer journey has improved. But what do customers want when it comes to personalized marketing? About 32% of consumers say they interpret personalization as customization, meaning businesses are sending them products and solutions perfectly tailored to them. And just as many expect a company to provide them with what they want based on their likes and dislikes. So yes, your leads and customers know you are collecting data on them and they expect you to use it well. Including the name of your customer or lead in the salutation will immediately make your email feel more personal. But, you can always step it up a notch by providing consumers with relevant content that addresses their likes and dislikes, and makes them see in a paragraph or two that you understand what is keeping them up at night. And with a variety of platforms and tools that can provide us with a variety of insights, it’s getting easier to construct better customer profiles and segment our lists. Practicing list segmentation instead of assuming all your contacts are the same will put you on a good path toward making your communication efforts more personal. If you’ve never practiced list segmentation, here’s how you can do it and use it to personalize your marketing efforts. Take the information you’ve gathered to place your leads and customers into buckets based on common characteristics, such as industry, stage in the sales funnel, etc. Create campaigns touching on some of the main pain points affecting them at work, share content that you know they prefer to consume, and include relevant CTAs that motivate them to take action. On the topic of segmentation, think about what type of information will appeal to your lists based on their common characteristics. Put together a landing page featuring content that reflects your understanding of that customer, shows them you care about helping them find a solution that fits their needs, and provides them the tools they need to choose you once they’ve reached a time to make a decision. Why go the extra step to set up a personalized landing page? When you look at personalized landing pages versus generic landing pages, those that are tailored to consumers’ interests result in higher conversion rates for each step of the customer journey. And putting together landing pages is easier than ever if you have the right marketing automation tool, so it’s a no brainer when it comes to creating a more personalized marketing experience. Video has become one of the most popular ways for leads and current customers to consume content, and that trend doesn’t seem to be going away any time soon. Think with Google found that 50% of internet users look for videos related to a product or service before making an in-store visit. And for us working in the B2B realm, this translates into our leads watching a video before committing to a scheduling a phone call or demo. Making videos that address your customers concerns is a good place to start using video for personalization. That means not just creating a general overview video. Try to point out specific pain points, and talk about the characteristics of your offerings in a way that highlights the values of your customers and leads. Better yet, you can have members of your sales team make personalized videos for each of your leads. Add them to your next email or landing page, and include a few stats and examples that demonstrate that you truly know your customer and are here to help. This technique demonstrates to customers that you went the extra mile to get to know them and catch their attention. Seeing this will also help build confidence in your brand and your ability to deliver, and demonstrate that you have a commitment to offering excellent customer service as you embark in this partnership.